Alright I’ll admit it. Investing for retirement is my hobby. This means that I continually run all sorts of detailed analysis, some of which I share on this site, to try and squeeze a little extra investment performance from my portfolio. An added benefit of this particular hobby is that it’s a frugal type of activity which other than the cost of running this site really costs nothing at all other than an old laptop and an internet connection. While this is my chosen behaviour I’m also the first to admit that I could probably remove 99% of the complexity and still get 99% of the result by following the Keep It Simple Stupid, KISS (bet you thought I was talking about an American Rock Band there for a while), rule. Today let’s take a step back and look at what that effective 1% effort might entail to enable this 99% result. Important: Before we get started, I must point out that what follows is not a recommendation to buy or sell anything, and is for educational purposes only. I am just an Average Joe and I am certainly not a Financial Planner. 1. Start. 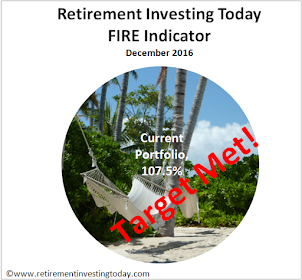 If you never decide to take control of your retirement planning then you will never achieve early retirement. Instead you’ll retire when the government tells you to which sounds a bit depressing to me. 2. Spend less than you earn. Sounds obvious doesn’t it? It mustn’t be because a lot of people fall at this hurdle by being in debt. If you don’t spend less than you earn then you are never going to reach Early Retirement or even have a little extra than the State Pension provides if you retire at State Pension Age. This I believe is a critical point as no matter what other decisions you make about your investments it all multiplies by the level of saving you are making. The level of saving is I believe one of the key differences between Early Retirement Extreme, Early Retirement, Typical Retirement and Late Retirement. You can start this saving lark long before you’ve completed any of the activities below, whether it be firstly paying down debt in readiness or simply saving it in a high interest savings account until you know what you want to do with it. 3. Research. Conduct some basic research. If you don’t want to take full responsibility for your actions or don’t feel capable then spend this time looking for an Independent Financial Adviser (IFA) who has your interests at the top of his/her agenda rather than their own monetary interests. If you’re UK based and are prepared to go Do It Yourself then your research might start with Time Hale’s excellent book Smarter Investing: Simpler Decisions for Better Results . 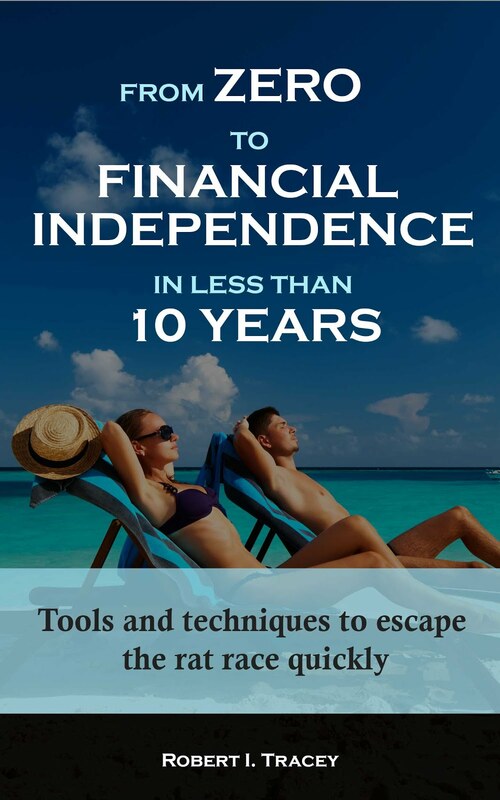 This has to be the best UK personal finance book I have read to date and formed the basis of my own Retirement Investing Today portfolio. 4. Make a plan and decide on Investment Mix. I believe you become who you think you are. If you make a detailed plan and believe in it then you have a much better chance of achieving it than somebody who says I’ll “retire in my 50’s”. Therefore, in detail determine the investment period you have and decide on what asset allocation you need to suit your risk profile. This could be as simple as the “Your Age in Bonds” rule of thumb. Then don’t change it unless you have a very good reason. You certainly wouldn’t change it because of the vagaries of Mr Market. 5. Under promise and over deliver. Don’t live in dream land and assume your investments are going to return a real after inflation return of 20% year on year. They’re not and if your plan requires it you’re likely to be very disappointed. Instead be conservative. That way if you do happen to get 20% year on year the only negative is that you get to retire earlier than your plan. So instead of Retire by 50 it might be Retire at 45. 6. Decide on what Investments you are going to make to achieve your Investment Mix. If you want to Keep It Really Simple Stupid then it might be as simple as one of the Vanguard LifeStrategy funds. If you want a little more engagement with your portfolio you might then add a Vanguard Bond or Gilt Fund to that as a method of reducing risk as you age. You could then continue to add complexity until you reach your ‘tinkering’ limit. This could include some of the ideas that I use including using valuation metrics to flex my allocation or maybe investing in property funds and gold. It could even mean starting a High Yield Portfolio (HYP). None of which follow the KISS rule. Pensions (which might not be right for everyone) which could cover SIPP’s (), Stakeholder Pensions, Group Personal Pensions or even the new National Employment Savings Trust (NEST) pensions. You might even what to look at NS&I Index Linked Savings Certificates should they ever come back onto the market. 8. Minimise fees. Like with taxes if you’re paying fees or expenses to a fund manager or continually buying and selling thereby incurring costs it’s not compounding in your portfolio. Always find the lowest fee option that suits your needs as there are plenty in the financial industry who will happily take your money. 9. Be aware of the damage inflation can inflict on your portfolio. Governments the world over will always take the easy way out. It’s human nature. There’s not a lot you can do about it but it might have an effect on what you choose to invest in. 10. Maintain the balance. Once you’ve decided on a plan, have an investment mix and have made the investment then ensure you stay on course. Set a review period to ensure you maintain the investment mix to maintain the risk profile that your plan requires. This could be when a certain part of the portfolio moves by a certain amount in relation to another part (which is what I do) or it could be as simple as I’ll look at it once a year. So 10 relatively simple ideas that will get you a jump start over the vast majority out there and probably achieve 99% (or better) of what I am expecting for 1% of the effort. Of course always do your own research. Simple. Use salary sacrifice to put away money into a pension, then transfer it to your SIPP. Salary sacrifice will mean you will not pay NI, nor student loan repayments. Some employers will even increase the amount of employer pension contributions due to the employer NI saving. Your employer does not offer salary sacrifice? Find one that does!